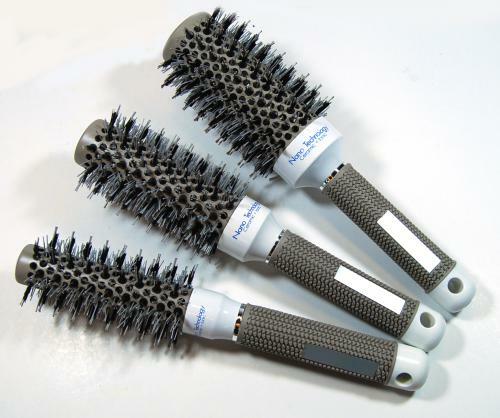 Nano Technology anti bacteral ceramic brush with a grooved rubberised handle. Come with a ceramic infused barrel with re-enforced bristle. Ideal for adding curl, body and smoothing long length hair.